At some point, you may feel the need to transform your indoor space to recreate the look and feel of a certain location that has impacted your taste or personal style or has marked a certain happy episode of your life. The homes with the most potent symbolic meaning are the ones reflecting a pure modern-rustic décor. But what does this eclectic concept actually mean? In a few words, modern-rustic translates into a combination of natural fabrics and materials, picturesque views and modern appliances mixed and matched in a clever manner to complete the picture. The Usage of Raw Stone and Wood. 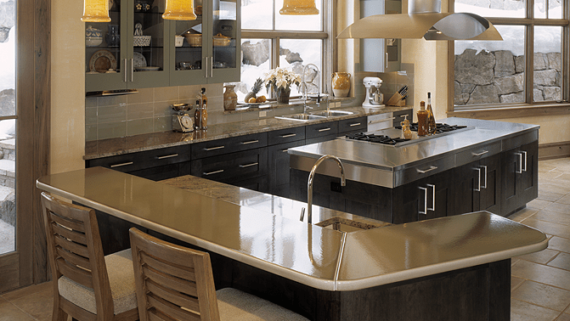 When it comes to remodeling or designing a rustic kitchen, natural-looking wood and stone should be your top picks in terms of premium working materials. Ancient-looking wooden custom cabinets with a natural dark finish can be paired with stone backsplash and countertops available in bright, neutral colors. Cathedral ceilings are a beautiful addition, making the entire space command more respect. Natural Fabrics. Next, focus on styling details that come in the form of upholstery, rugs and linens. Always go for first-hand materials that would actually find their place in an old, charming mountain cottage. Sheepskin and cowhides are an ideal choice for your kitchen, especially since they are so practical and cool-looking. Big Windows. Both the best modern spaces and the most tempting rustic corners have one thing in common: drop-dead-gorgeous views. A kitchen with big windows allowing you to contemplate the surroundings is always a fantastic choice, especially when it is located in a room with high ceilings, which feels airy and inviting. 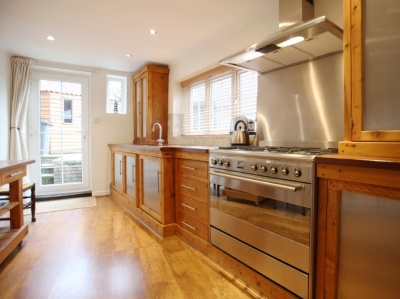 Strategically Positioned Modern Appliances. 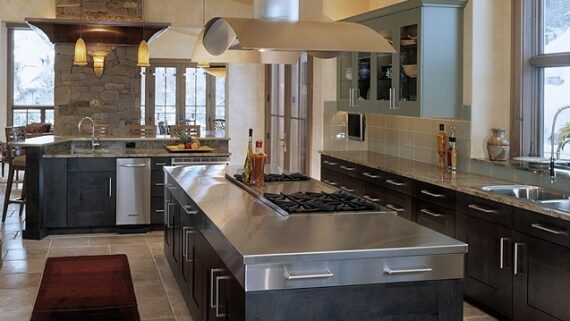 In theory, shiny stainless steel appliances have nothing in common with rustic, austere kitchens. 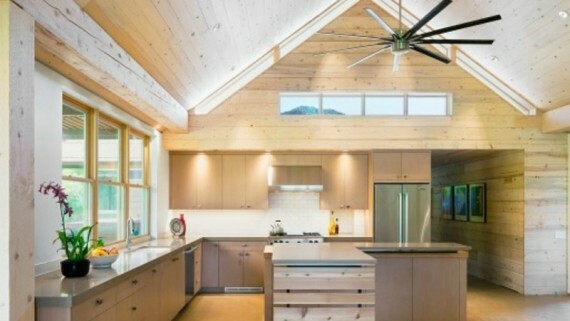 But when it comes to bringing the interior of an old 20’s mountain cabin into the future, you might as well forget everything about this outdated design rule. The new generation of rustic-chic spaces revolves around a delightful contrast between simple lines and modern, extremely practical amenities. To balance this old-meets-new home décor trend, add a few mid-century cabinet pieces (don’t forget to order your vintage custom kitchen cabinets!). For an original wow effect, choose to combine unadorned leather with neural or lightly-colored wood. Just because your kitchen sends a rustic vibe, this doesn’t mean that you have to stick to old dusted furniture and adornments that you have inherited from your late grandma. Mix and match different novelty factors that you can imagine in an industrial kitchen, such as metallic cabinets or sleek barstools and combine them following your practical and aesthetic purposes. Don’t know how to achieve modern-rustic perfection? When you feel puzzled, dazzled or uninspired, just give the Modern Kitchen team a call and wait for the first signs of a kitchen remodel miracle tailored to your needs and budget.